Last week I wrote about a legendarily bulletproof Mercedes-Benz diesel engine wrapped in a W116 body. (Read about it here.) 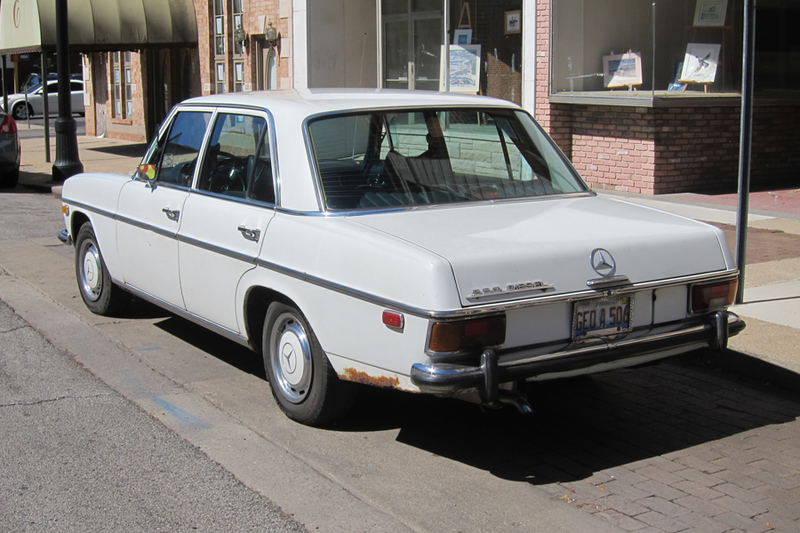 Then the other day while perusing some old photos I found some of this W115 M-B diesel that I took on the not-so-mean streets of Terre Haute a couple years ago. It’s rare to sight one of these out here in Rustopia. Could the 2.2 L OM615 inline four-cylinder diesel be as bulletproof as the five-cylinder OM617 in last week’s 300 SD Turbodiesel? If you’re among the M-B diesel cognoscenti, speak up in the comments. The engine appears to have been plenty durable in this car, at least. And this car shows key signs of being a daily driver, with its missing trim strip and rust in the rear quarters. Full CC on the 220 Diesel here. Reputation wise the five cylinder is supposed to be a tiny bit more durable but both can rack up amazing mileage. I’ve got a 1970 version of the same car in blue. The handling is fantastic for such a big and old car. This 220D may still be clattering down the road long after that new CLA gets crushed and recycled into a Chinese Buick. A surprising number of them survive in Virginia and Maryland. Every now and again I get a huge, almost insuppressible desire to own one of these. It must be a diesel, it must have a stick shift, and it must have crank windows. And I would prefer that it not be that awful light yellow color, but this is a second-tier demand. I know zero about them, other than that parts can be a bit pricey and that I have to be wary of rust. Then I come to my senses. Maybe because of my inner lust for one of these, I see them a bit more frequently than Jim must. I saw one in much worse shape than this one just the other day in a Steak n Shake parking lot near me. Maybe I’ll go look at Craigslist again . . . . I have exactly the same affliction, differing only in that my periodic obsession is over the W123 300D turbodiesel. It has been going on for almost a decade, and I have several times examined and test driven 300Ds and found them to be in good enough condition to buy, but have never been able to pull the trigger (meaning pull out my checkbook) in the end. I have a hard time viewing the W115 as something that I would want to drive, having been a frequent passenger in a family friend’s 240D when I was of single-digit age and remembering it as being clattery and with the hardest and gloomiest black interior that I had experienced back then, but if I were looking for a car for an epic around the world journey, the W115 would join the W123 at the top of my list. if u wait for the perfect car and that will never happen. We can’t afford a real good one and with some imperfection we dont want it. No I have been keep finding them drive them for few mths and go for another better one. Some are quite nice and some are a real dog. I kinda like them too, and I’m not a Mercedes person, but their Germy German-ness is so..German, I miss when cars had strong national identities, cars are like food, they can be tasty representations of their home countries. I’ll take mine in an avocado green with matching wheel covers. 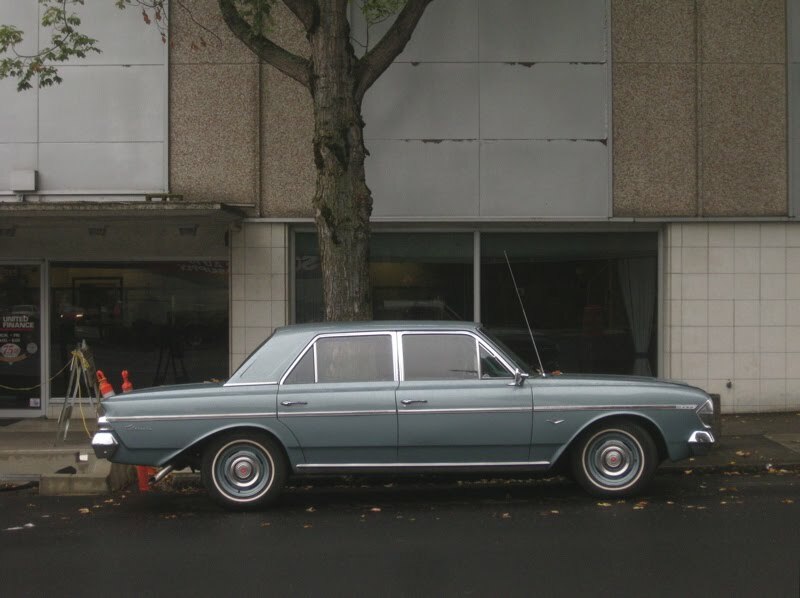 I have the same longing, old MB’s are always worth a look. No affiliation, but what became a very worthy substitute (for much less money) is a hand-made wallet from Couch.com – they make the wallets out of genuine old stock MB-Tex. Mine is red, and I have to say for the first year whenever I pulled it out of my back pocket where it is nice and warm, it gave off the pleasant aroma of the interior of an old Mercedes on a warm day. I recently saw a coupe version on the road where I live but was unable to take a picture of it. It was in avocado green and appeared to have recently been involved in an accident. It looked clean and well maintained but had a crooked bumper, crooked broken headlight, mashed up fender, and a large dent in the middle of the rear quarter. At least the driver looked like hadn’t been injured. Hopefully the old Benz gets fixed and not junked. My mechanic services a 1980 240D (also with the OM615 engine) for another customer. The last time I saw the car in his shop about a year ago it had 435,000 miles on the odometer. The current driver’s husband bought the car new. He no longer drives but she can be seen behind the wheel regularly in the local area. The car is obviously kept in the garage and serviced routinely. It doesn’t smoke a bit even under acceleration. Parking a yard from the curb helps the color-matched hubcaps from getting scratched. Haven’t seen one in years, in my neck of the woods (Central Canada). They were reasonably popular here when new. A young couple, who lived next door, owned an early 70s diesel version back in the late 70s. They commuted 200 kilometres daily, year round, for a few years. They seemed to love it, and it seemed to always start for them. Theirs was tan, with a camel interior. Guessing it was M-B Tex. In rural areas, most people bought Big Three cars back then. As almost all the dealers were Big Three. So, to see their M-B in the country, was a unique treat. try to mimic… at least in it’s look. In 1971, I had the opportunity to drive one of these, although I can’t remember if it was a diesel. A good friend of the family, a doctor and husband of my mom’s cousin, threw me keys when he noticed I was admiring his recent acquisition. Having just recently got my driver’s license, it was a rare chance to drive a car I would otherwise never been able to get near. The good doctor’s younger brother eventually became Prime Minister of Canada, and one of his sons became Ambassador to the U.S.
Wow, what a special memory that must’ve been. I am imagining, this would be the Chrétien Family? This (W115) is my all time favorite MB sedan style, even with US-spec lighting. Simply elegant and so well proportioned for a car of its size. I did lust after a W123 240D, until I drove a few. Acceleration was glacial, stick or auto, even compared to my supposedly underpowered old VW’s. Yes, the cars are bank vault solid, but all that weight has to get rolling. These cars are geared for top speed and economy, not Los Angeles city streets. I saw (and heard) one clattering around downtown Toronto the other day while biking to work. I might be quicker off the line, but an old 220D will keep on running long after I need a break. Personally, I’ll take a 300 SD. 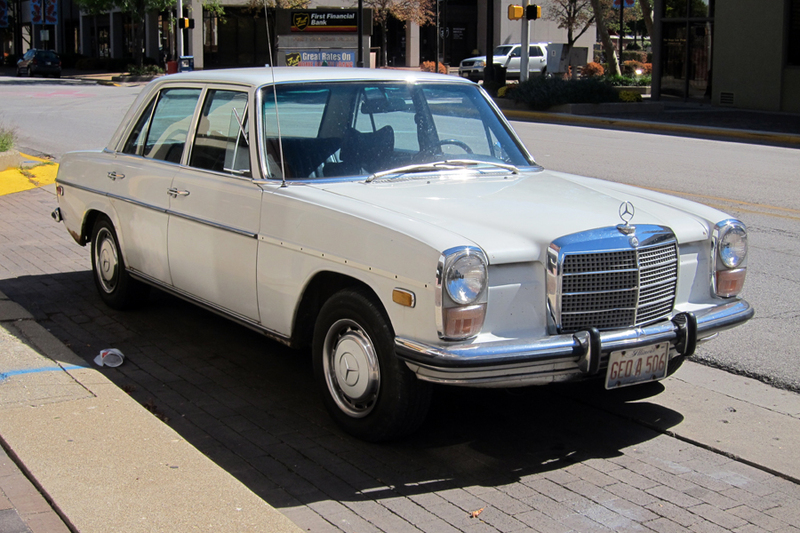 My ex-stepmother drove one of these around a few years..it was a yellowish 1974 280 sedan with brownish seats. It was ugly & I hated riding in it…but cannot deny it was probably the stiffest, most solid, unbreakable tank I’d ever ridden in. The road that lead into our subdivision had a very sharp curve and that thing had zero body roll even at higher speeds. When I was a small lad in the early eighties my grandfather had a stockpile of rusting 200 series benzes on the edge of his lawn. I believe there where six of them and one rust free but lightly smashed coupe with a four speed in the basement of his house. Later on in the early ninties he sold the coupe and it was a four day ordeal to get the attached garage cleared enough to get it out. The young guy who bought it brought it back a few years later just like new and wanted my gramps to drive it but he refused saying he never drove before it was wrecked(it was my grandmothers car), and he wouldnt drive it now. I always thought there was something particularly defiant about this era’s Mercedes styling, as though they made a point of neither aping the Detroit line nor using/copying from the Italian carrozzeria, nor making an ostentatious show of not doing so (as Citroen did). On the other hand, I never liked the ’30s-grille-on-a-’60s-car look and it’s particularly pointless on a Mercedes since they didn’t do badge engineering – at least it had a function when the British did it as it was often the only thing that differentiated an MG saloon from a Morris, a Singer from a Hillman and so on. Around the corner from me is a BHPH lot with a 250 coupe of this vintage. I drive past it twice a day to and from work. The car appears to be in a factory correct repaint red with no dents, dings, discrepancies, or rust – flawless and looking quite distinguished and well-kept. It has the Euro headlights, a white (bakelite?) steering wheel, and what would appear to be a matching white stalk for a column shift (AT?). It’s been sitting there in a sea of late model trucks, SUVs, Camaros and Mustangs for a month, after being swapped from the adjacent BHPH lot, where it was for at least a couple of months. I’ve seen it on the road once, when it looked like a carful of Middle-Eastern-looking men appeared to be test-driving it – seemed to be burning a fair amount of oil, and the carful was testing the old suspension to its limits. I’ll be in the market for a third car soon (eldest getting his license), and craved an old car for a while (to be clear, the car would be for me, not him). Not a day goes by that I don’t consider (and then reject) the possibility of seeing how low the BHPH guy will go… I’ve driven,worked on, and thoroughly enjoyed mostly old Volvos, Alfas, and BMWs, but my Mercedes knowledge is practically zero. So if any of you have relevant insight – what is the story on these cars? Is this a solid classic that will go forever, or a nightmare money pit of transmission rebuilds, unobtainable gaskets, electrical gremlins and cooling problems? The coupe you described is the latter, the car you want to buy has been owned by long-term owners who have carried out every service on the dot and taken care of any issues as soon as they arise, and the car has always been garaged. During its time, it was the favorite taxi for all continents other than North America.